I’m a Silicon Valley-based entrepreneur, author, executive, and investor. I’m cofounder and partner at Village Global, a $100M venture capital fund that invests in startup entrepreneurs. This is my full-time job. 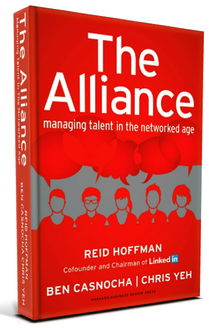 I’m coauthor of the New York Times bestselling management book The Alliance: Managing Talent in the Networked Age (with LinkedIn chairman Reid Hoffman and entrepreneur Chris Yeh). I’m also coauthor of the New York Times bestselling career strategy book The Start-Up of You: Adapt to the Future, Invest in Yourself, and Transform Your Career (with Reid Hoffman). As entrepreneur and executive, I’ve started and scaled several ventures, including an e-government software company (Comcate) that currently delivers hosted CRM solutions to hundreds of local governments in America, an online education business, and a top tier boutique management training business. Finally, I regularly deliver keynote speeches on business and globalization. I’ve spoken in a dozen countries in front of tens of thousands of people. I’ve appeared on the CBS Early Show, CNN, Charlie Rose, CNBC, and other media outlets.